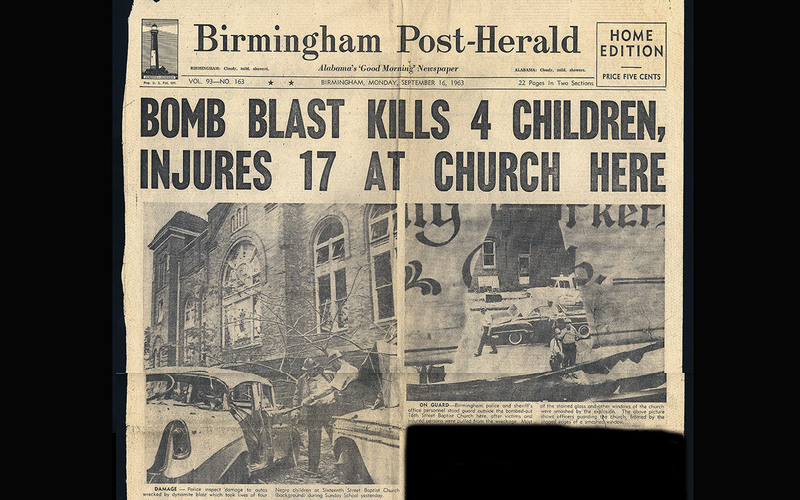 Yesterday was 50th anniversary of the bombing of the church in Birmingham that killed the 4 little girls. 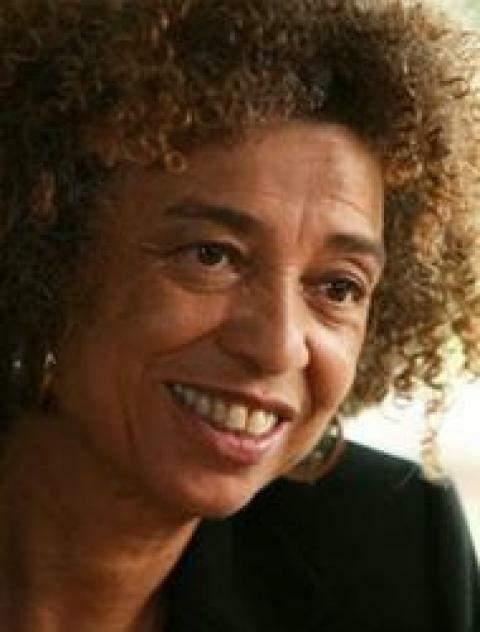 Angela Davis made a good speech on the occasion saying that , in part, we are still using bombs so resolve situations that we don’t like and that racists, homophobics, zenophobics, etc are as violent today as 50 years ago. Davey D speaks with activist, scholar and freedom fighter Angela Davis about the 50th anniversary of the 16th street Birmingham bombings of 1963. Angela grew up in Birmingham when it was called Bombingham. This was due to the fact the Ku Klux Klan conducted a campaign of terror on Black people and frequently firebombed people’s homes. The gravity of that of that terrorism has not been fully appreciated or understood. Leading up to the 16th street church bombings, there are estimates that close to 80 bombs were set off in Birmingham. Davis said Black people were under seige but were determined to fight back. The 16th Street Baptist Church had become a symbol of Black Resistance and was a key organizing center for the Civil Rights Movement. After the huge and very successful March on Washington a few weeks earlier, the historic church became even more of thorn in the side for white supremacists and was eventually targeted with fatal results. On the morning of September 15th 1963, a bomb was placed in the basement of the church. 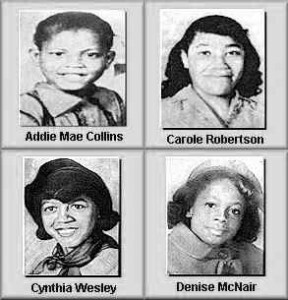 4 young girls, Denise McNair, who was 11 along with Addie Mae Collins, Carole Robertson and Cynthia Wesley who were all 14, were killed when that bomb went off. Davis who was friends with two of the girls Cynthia Wesley and Carole Robertson who she noted lived two houses down from hers. In fact the day of the bombing Angela’s mother drove Carole’s mother to the church to pick up her daughter. They had heard about the church being bombed, but sadly didn’t know Carole was one of those killed. Davis talked at length during our Hard Knock Radio show about how and why this incident was a key turning point in the Civil Rights Movement. It was a wake up call that moved everyone to get more involved. 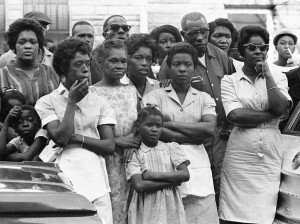 Davis also noted that on that day two other Black teens, both boys Virgil Ware and Johnny Robertson were also killed. One by the Klan sympathizers and the other by police who sadly had a working relationship with the KKK. During our conversation, Davis made it clear that it was important to connect the struggles of 1963 and the tragedies of that day with the struggles and resistance to racial violence going on today. She drew parallels to the case of Oscar Grant and how that a key turning point for many in the Bay Area and how other cases including the one involving Trayvon martin were also key turning point incidents. We also talked about how the 16th Street Baptist Church has in recent years been used as a staging area for protest in the fight to end discrimintaion agaisnt undocumented Latinos who now live in Birmingham. 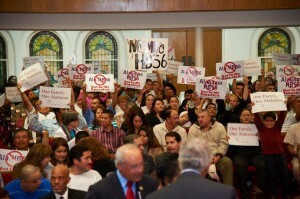 Last year thousands gathered at the church to protest an anti-immigrant SB 1070 type law known in Alabama as HB56. A strong coalition of Black and Brown leaders came together to show unity. Davis talked about the importance of connecting those dots between the Civil Rights struggle of the past with the current fight around immigration. We concluded our interview with Angela Davis by talking about the plight of political prisoner Herman Wallace who was given 2 months to live and is one of the Angola 3. We also talked about the legacy of Attica and the huge uprisings that took place 41 years ago this week. 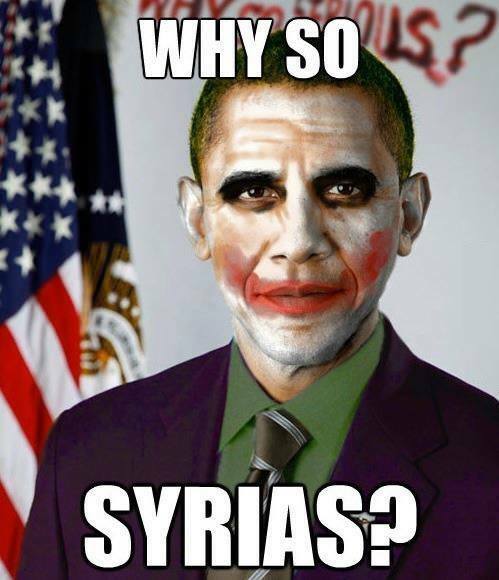 JOKER OF THE DAY ~~ WHY SO SYRIAS? Comments Off on JOKER OF THE DAY ~~ WHY SO SYRIAS? They still haven’t learned the difference between zionism and Judaism ….. It also comes amid an intensified atmosphere of racism and incitement against Africansencouraged by top Israeli government officials and politicians. The new wave of movements which have gained prominence this summer can be traced back partly to a group of third generation, internally displaced youth from the village of Iqrit, who in August 2012 decided that they would take matters into their own hands and return to their ancestral village. During the summer of 2013 a new grassroots movement burst onto the scene and announced itself as a major development in the long struggle for the right of return for Palestinian refugees. Activities occurring throughout the Galilee region of present-day Israel have been held which reaffirm the connection of the younger generation of internally displaced Palestinians to their ancestral villages. Events and projects simultaneously take practical steps to realize this long-denied, fundamental right. The right of return is one of the most evocative and central issues for Palestinians ever since the Nakba (catastrophe) of 1948, which saw the destruction of more than 530 Arab villages and the displacement of approximately 800,000 Palestinians. The majority of them ended up as refugees in neighboring Arab states, or in those parts of Palestine which initially remained outside of Israeli control, namely the West Bank and Gaza Strip. Between 30,000 and 40,000 managed to remain inside the new state of Israel, however, finding refuge in nearby towns which had survived the ethnic cleansing of the majority of Palestine’s villages. Attempts by the original inhabitants to return to their villages in the immediate aftermath of the Nakba were fought against by the new state, which used all the means at its disposal, often brutally. Dispersed villagers attempting to return from outside the borders of the new state were often shot dead on sight by the Israeli army. Meanwhile, villagers attempting to return who had managed to remain within the borders of the new state were routinely rounded up and deported as “infiltrators.” Legislation such as the Absentees Property Law enabled the confiscation of property of those Palestinians who had been made into internally displaced persons, while denying their rights to live there or even to enter the site of their ancestral lands. Between 1948 and 1955, the majority of these villages were destroyed by the Israeli army and covered either with pine forests or new Jewish-only settlements. In many cases, a cemetery, mosque or church was the only remaining evidence of a village’s existence. Iqrit’s residents were originally ordered out of their village for two weeks shortly after the Nakba for so-called security reasons. Exceptionally, three years later they obtained Israeli high court approval to return, and received information that they would be able to return on Christmas Day, especially symbolic for the Christian community. On that day in 1951, as the villagers waited to return, the Israeli army razed the village to the ground. One village which has adopted Iqrit’s strategy of youth-based return is Kufr Birim. Located close to the boundary between Israel and Lebanon — not far from Iqrit — for the past few years Kufir Birim has played host to summer camps for children. This summer, people with family connections to Kufir Birim have also decided to maintain a permanent presence in the village, centered around the old community’s surviving church. However, their initiative has not been without obstacles. In August, the Israel Lands Authority told the camp’s members that they had to leave within a week or they would be removed by force (“Authorities threaten displaced community’s return to village,” +972 Magazine, 22 August 2013). On 28 August, Iqrit also received a visit by inspectors from the Israel Lands Authority, accompanied by border policemen. They came during the morning and confiscated tents and beds, uprooted the small garden, removed signs and destroyed property, including the new football stadium. However, as in Kufr Birim, the youth are not willing to leave their ancestral land. This summer has also witnessed a very successful summer camp in the village of Ghabisiya, while Baladna (the Assocation for Arab Youth) and a number of other groups initiated the Udna (Our Return) project with the participation of five ethnically cleansed villages: Saffuriyya, Miar, Maalul, Lajjun and Iqrit, with one youth group in each village. The project aims to educate the new generation with family connections to these villages of their history and rights, with film screenings and storytelling featuring residents who survived the expulsion. Practical approaches to the issue of return such as town planning and logistics were also explored, while musical events by local artists added a cultural feature. Iqrit, Kufr Birim, Ghabisiya, Saffuriyya, Miar, Malul, Lajjun. These are just seven of the Palestinians towns and villages which were destroyed and whose inhabitants were displaced during the Nakba. Yet the combined activities of these villages during the summer of 2013 represent the most significant movement in the struggle for return since the years following the Nakba. Far from forgetting their roots and historical injustices, the latest generation of Palestinians inside Israel are showing their dedication to their right of return. This, combined with the youth’s energy, enthusiasm and innovative approaches, has resulted in a grassroots, youth-led movement unprecedented in the history of activism for the right to return. Whatever the immediate reaction of Israeli authorities to the return of villagers in Iqrit and Kufr Birim, these movements have captured the imagination of people across historic Palestine, young and old. And while the future of the movement is full of uncertainty, the determination and energy of our youth alone is reason for optimism. *Nadim Nashef is is the director of the Haifa-based Association for Arab Youth-Baladna. The website reported that little hard evidence has ever been published to indicate that Israel possesses a stockpile of chemical or biological weapons. 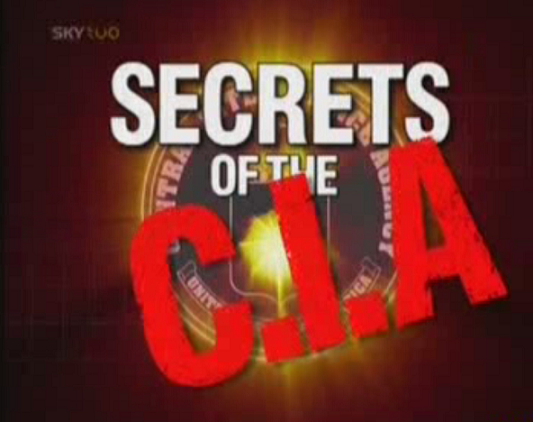 This secret 1983 CIA intelligence estimate may be the strongest indication yet. 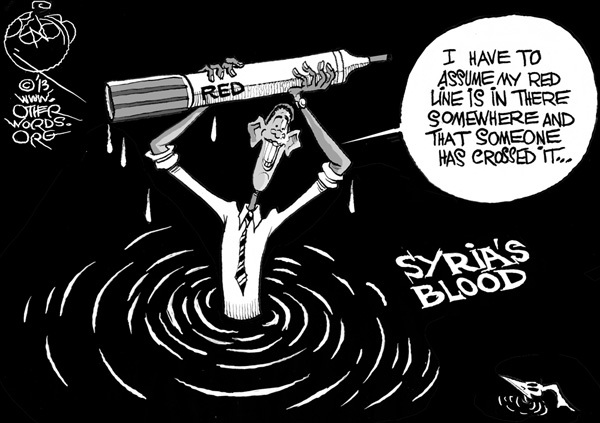 Syria‘s reported use of chemical weapons is threatening to turn the civil war there into a wider conflict, but the Bashar Assad government may not be the only one in the region with a nerve gas stockpile. A newly discovered CIA document indicates that Israel likely built up a chemical arsenal of its own, reported the Foreign Policy website. According to Foreign Policy, reports have circulated in arms control circles for almost 20 years that Israel secretly manufactured a stockpile of chemical and biological weapons to complement its nuclear arsenal. 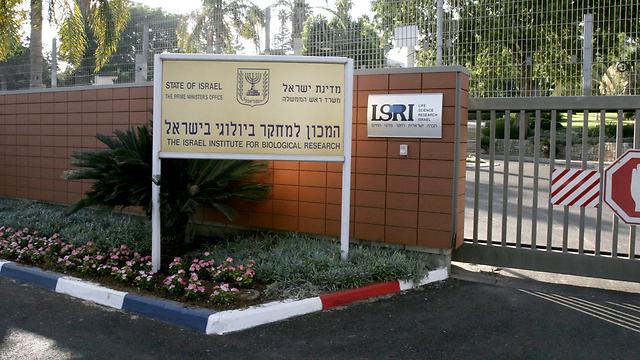 Much of the attention has been focused on the research and development work being conducted at the Israeli government’s secretive Israel Institute for Biological Research at Ness Ziona, located 20 kilometers south of Tel Aviv, the report said. Whether Israel still maintains this alleged stockpile is unknown. In 1992, the Israeli government signed but never ratified the Chemical Weapons Convention, which bans such arms, the website reported. The CIA estimate, a copy of which was sent to the White House, also shows that the US intelligence community had suspicions about this stockpile for decades, and that the US government kept mum about Israel’s suspected possession of chemical weapons just as long. These facts were recently discovered by a researcher at the Ronald Reagan Presidential Library in California, Foreign Policy reported. The group, AnonGhost, has released a list of Israeli online targets, including numerous government websites, on Internet forums used by the Anonymous Collective. AnonGhost, group evidently protesting Israeli policies toward Palestinians, urges followers to vandalize and flood Israeli sites with traffic. A hacker group evidently protesting Israeli policies is planning a new round of cyberattacks on Israeli websites – scheduled for Wednesday, September 11. In allusion to previous such cyberattacks, the operation is titled OpIsrael Reborn. Ahead of the attack, the group released 165,000 listings of names, addresses, e-mail addresses and phone numbers of Israelis early on Monday. The information was likely obtained by hacking into an Israeli Web hosting site. It is yet unclear how updated this data is, or how many of the listings repeat themselves. The group has called on members to vandalize Israeli websites or cause traffic that would prevent access to these sites. Both attack methods use automatic tools that do not require any programming skills. AnonGhost’s most recent known effort to initiate a cyberattack against Israeli sites took place in April, on Holocaust Remembrance Day. Shlomo Eisenberg, head of cyber intelligence at Cyuberlnt, a security company, has said that AnonGhost’s April attempt was unsuccessful. “AnonGhost’s high media presence attracts ‘Script Kiddies’ – youths who use automatic tools to attack; but these may be joined by programmers with better skills,” he added. As in former attempts, Israelis are advised to strengthen their password and refrain from using generic pins such as 123456, as well as using the same password for different sites. 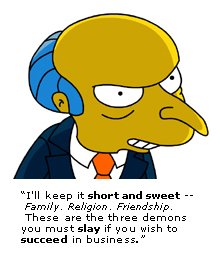 A correction to yesterday’s post …. BUT Israel is still to blame for the overall suffering in Gaza today. “The blockade on Gaza prevented Oxfam’s public health programme bringing in a chlorometer to help get right chlorine levels to clean water,” Ben Phillips, the organization’sCampaigns and Policy Director tweeted from Gaza today. Since the coup, the Egyptian military regime has destroyed dozens of underground tunnelsthat have provided the only alternative route into Gaza for many basic supplies banned or severely restricted by the Israeli siege. *Israel has blocked the international development organization Oxfam from bringing vital equipment into the Gaza Strip to help make drinking water safe. 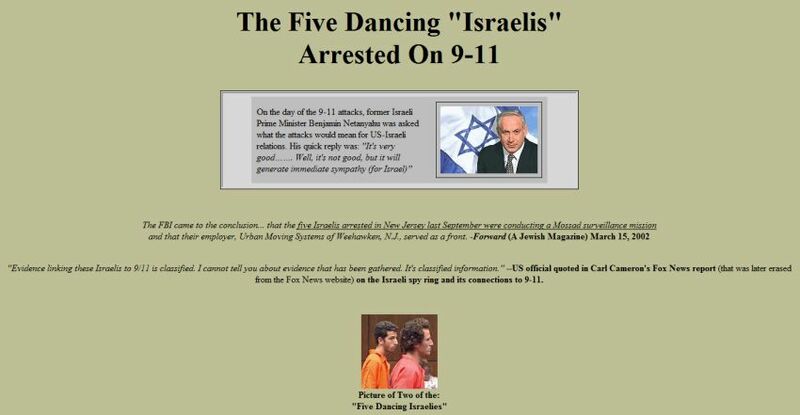 If the zionists are upset with the following, then it’s a must read for everyone else ….. also see THIS report. Express concern about Israeli subsidies for West Bank settlements and you’ll be told that the settlements don’t matter because “they” won’t accept Israel within any borders. Cite the recent warning by former Shin Bet head Yuval Diskin that “over the past 10–15 years Israel has become more and more racist” and you’ll be told that whatever Israel’s imperfections, it is “they” who teach their children to hate and kill. Mention that former prime minister Ehud Olmert has called Mahmoud Abbas a partner for peace and you’ll be told that what “they” say in Arabic is different from what they say in English. This spring I watched the documentary The Gatekeepers—in which six former heads of Shin Bet sharply criticize Israeli policy in the West Bank—with a mostly Jewish audience in New York. Afterward a man acknowledged that it was an interesting film. Then he asked why “they” don’t criticize their side like Israelis do. I used to try, clumsily, to answer the assertions about Palestinians that so often consume the American Jewish conversation about Israel. But increasingly I give a terser reply: “Ask them.” That usually ends the conversation because in mainstream American Jewish circles, asking Palestinians to respond to the endless assertions that American Jews make about them is extremely rare. For the most part, Palestinians do not speak in American synagogues or write in the Jewish press. The organization Birthright, which since 1999 has taken almost 350,000 young Diaspora Jews—mostly Americans—to visit Israel, does not venture to Palestinian towns and cities in the West Bank. Of the more than two hundred advertised speakers at the American Israel Public Affairs Committee’s (AIPAC) 2013 Policy Conference, two were Palestinians. By American Jewish standards, that’s high. The American Jewish Committee’s Global Forum earlier this year, which advertised sixty-four speakers, did not include a single Palestinian. Those standards make it almost impossible for Jewish campus organizations to invite a Palestinian speaker. First, “delegitimize, demonize, or apply a double standard” is so vague that it could bar virtually any Palestinian (or, for that matter, non-Palestinian) critic of Israeli policy. Even supporting a Palestinian state along the 1967 lines would violate the “secure” borders standard, according to Benjamin Netanyahu. Second, even moderate Palestinians like former prime minister Salam Fayyad, a favorite of America and Israel, support boycotting goods produced in the settlements. Third, the deputy speaker of Israel’s parliament, Ahmad Tibi, an Arab Israeli citizen, has publicly proposed turning Israel from a Jewish state into one with no religious identity. He presides over sessions of the Knesset but, according to Hillel’s guidelines, couldn’t address an American Jewish group on a college campus. Guidelines like Hillel’s—which codify the de facto restrictions that exist in many establishment American Jewish groups—make the organized American Jewish community a closed intellectual space, isolated from the experiences and perspectives of roughly half the people under Israeli control. And the result is that American Jewish leaders, even those who harbor no animosity toward Palestinians, know little about the reality of their lives. the government of Israel continued to apply travel restrictions…that significantly impeded freedom of access to places of worship in the West Bank and Jerusalem for Muslims and Christians. It also noted that “Israel’s permitting regime generally restricted most West Bank Muslims from accessing the Haram al-Sharif,” Jerusalem’s foremost Islamic holy site. It’s a good bet that Foxman and Wiesel have each traveled to Israel dozens of times. They’ve likely known every Israeli prime minister in recent memory. They’ve probably even repeatedly met Palestinian leaders. Unfortunately, such revelations are rare. There’s not much data on American Jewish knowledge of—as opposed to attitudes about—the Israeli-Palestinian conflict. But what there is suggests that Foxman and Wiesel are typical. In 1989, the sociologist Steven M. Cohen asked American Jews if “Arab Israelis and Jewish Israelis generally go to the same schools.” Only one third of respondents knew the answer was no. In a 2012 poll by the Arab American Institute, two thirds of American Jews said they wanted Jerusalem to remain Israel’s undivided capital. But when asked about Ras al-Amud and Silwan, two of the Palestinian neighborhoods that would be divided from the rest of Jerusalem to create a Palestinian capital, between two thirds and three quarters of American Jews either said they were unimportant or admitted to not knowing where they were. If one consequence of this isolation from Palestinians is a lack of information, the other is a lack of empathy. Because most American Jewish leaders have never seen someone denied the right to visit a family member because they lack the right permit, or visited a military court, or seen a Palestinian village scheduled for demolition because it lacks building permits that are almost impossible for Palestinians to get, it is easy for them to minimize the human toll of living, for forty-six years, without the basic rights that your Jewish neighbors take for granted. In much of the West Bank, for example, it is illegal for ten or more Palestinians to assemble for any “political” purpose without a military permit. A booklet prepared by the Los Angeles–based pro-Israel group Stand With Us declares that “every city in the West Bank has a pool or recreation complex and Ramallah has more than ten”—alongside a photo of Palestinian children splashing in a water park. Readers would never know that, according to the Israeli human rights group B’Tselem, West Bank Palestinians consume only seventy-three liters of water per day, less than the hundred-liter minimum recommended by the World Health Organization, and less than one third as much as their Israeli counterparts. At least Stand With Us only minimizes Palestinian suffering. At times, American Jews actively mock it. 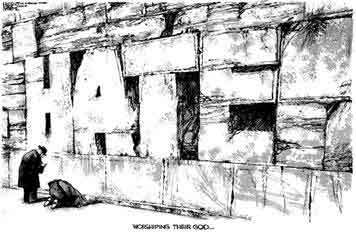 In 2002, during the brutal second intifada, then deputy secretary of defense Paul Wolfowitz told a large pro-Israel rally on the National Mall in Washington that “innocent Palestinians are suffering and dying in great numbers as well” as Israelis. By the time Wolfowitz spoke, according to Defense of Children International, the intifada had already claimed the lives of more than two hundred Palestinian children. Yet when Wolfowitz mentioned Palestinian suffering, some in the crowd began to boo. This lack of familiarity with Palestinian life also inclines many in the organized American Jewish world to assume that Palestinian anger toward Israel must be a product solely of Palestinian pathology. Rare is the American Jewish discussion of Israel that does not include some reference to the textbooks and television programs that “teach Palestinians to hate.” These charges have some merit. Palestinian schools and media do traffic in anti-Semitism and promote violence. Still, what’s often glaringly absent from the American Jewish discussion of Palestinian hatred is any recognition that some of it might stem not from what Palestinians read or hear about the Jewish state, but from the way they interact with it in their daily lives. Palestinian anger does not justify Palestinian violence. It certainly does not justify the grotesque attacks on Israeli civilians committed by Hamas and other terrorist groups. But as Israel’s own top security officials have noted, stopping Palestinian terrorism requires understanding it. And attributing it entirely to textbooks and television programs, as American Jewish groups often do, doesn’t accomplish that. By walling themselves off from Palestinians, American Jews fail to understand the very behavior they seek to prevent. This intellectual isolation also keeps the American Jewish mainstream from comprehending another phenomenon it deeply fears: the Boycott, Divestment and Sanctions (BDS) movement against Israel. The American Jewish establishment generally attributes the support for BDSamong various academic, professional, and Christian organizations to resurgent anti-Semitism. “Sixty years after the Holocaust,” declared Foxman in 2009, “we are watching one layer after another of the constraints against anti-Semitism, which arose as a result of the murder of six million, being peeled away.” In this anti-Semitic resurgence, the BDS movement, which Foxman has declared “at its very core is anti-Semitic,” is exhibit A. The separation wall at Aida refugee camp on the West Bank; photograph by Josef Koudelka fromWall: Israeli and Palestinian Landscape, 2008–2012, which collects his panoramic images from East Jerusalem, Hebron, Ramallah, Bethlehem, and other sites along the separation wall. The book will be published by Aperture in October. There are anti-Semites in the BDS movement, something my blog, Open Zion, has aggressively exposed. More generally, the movement is based on a dangerous and inaccurate analogy between Israel and apartheid South Africa, an analogy that leads many BDS activists to oppose the two-state solution in favor of a single “secular, binational” state that would, in reality, probably mean civil war between Jews and Palestinians. But what American Jewish leaders like Foxman don’t understand about BDS is that what fuels it is often interactions with Palestinians living under Israeli control. American Jewish leaders don’t understand the power of such interactions because they rarely have them themselves. Similarly, it was appeals from Palestinian academics—some of whom he had met on a trip to Birzeit University near Ramallah—that led Stephen Hawking, the British theoretical physicist, to decline to attend a conference hosted by Israeli President Shimon Peres in May. The BDS movement is growing not only because Israel is often judged by an unfair double standard but because of interactions between Palestinians and people around the world who are sympathetic to their cause. The American Jewish community is hamstrung in its ability to respond by its own lack of experience with Palestinian life under Israeli control. If this isolation from Palestinians were confined to American Jewry, it would be bad enough. But to a striking degree, the same insularity characterizes debate about Israel in Washington. In part that’s because of the weakness of Palestinian and Arab-American groups. And in part it’s because of the effectiveness of the American Jewish establishment. Since 2000, according to the website LegiStorm, members of Congress and their staffs have visited Israel more than one thousand times. That’s almost twice the number of visits to any other foreign country. Roughly three quarters of those trips were sponsored by the American Israel Education Foundation (AIEF), AIPAC’s nonprofit arm. And many of the rest were sponsored by the American Jewish Committee, local Jewish Community Relations Councils, local Jewish Federations, and other mainstream Jewish groups. During the summer of 2011 alone, AIEF took 20 percent of House members—and almost half the Republican freshman class—to the Jewish state. Since 2000, the foundation has taken House Minority Leader Steny Hoyer or his staffers to Israel nine times and House Majority Leader Eric Cantor or his staffers eight times. These trips, whose cost can exceed $10,000 and often include congressional spouses, are extremely popular. They’re also influential, leaving what Hoyer has called an “indelible impression” on legislators. 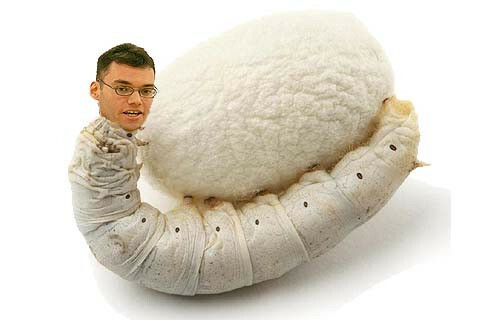 Unfortunately, they largely replicate the cocoon that the American Jewish establishment provides its own members. Members of Congress may see more Christian holy sites than your average synagogue or Birthright trip, but they don’t see many more Palestinians. An AIEFtrip this spring for eight House members and staffers who serve on foreign policy–related committees was typical. Virtually the entire itinerary consisted of meetings with Israeli politicians, security officials, businessmen, and journalists, as well as trips to Yad Vashem, Israel’s Holocaust memorial museum, and the Western Wall. The delegation spent one morning of its almost week-long trip in Ramallah, where it met Palestinian leaders Mahmoud Abbas and Salam Fayyad. But the Americans didn’t stay in the West Bank long enough to learn anything about Palestinian life. The American Jewish community does not bear all the blame for its lack of interaction with Palestinians. In recent years, sadly, Palestinian activists have led a growing “anti-normalization” campaign that rejects any relations with Jewish Israelis, or Israel’s supporters abroad, who do not—in the words of one statement by Palestinian youth groups—“explicitly aim to resist Israel’s occupation, colonization and apartheid.” Guided by this principle, some Palestinian organizations have shunned Seeds of Peace, which brings together Israeli and Palestinian teens in a camp in Maine, and One Voice, which tries to mobilize Palestinians and Israelis to support the two-state solution. Last year, the Students for Justice in Palestine chapter at the University of California, San Diego, even declared “dialogue and collaboration with J Street U counterproductive” because the student wing of the liberal American Jewish group did not support divestment from Israel. One can understand Palestinians’ reluctance to participate in events that make them appear to consent to an unjust occupation. But that is very different from boycotting events that offer them the opportunity to describe that injustice to American Jews who may be genuinely unfamiliar with it. The former endorses the status quo; the latter challenges it. As the Palestinian blogger Aziz Abu Sarah has noted, characterizing conversations in which Palestinians discuss life under Israeli control as “normalization” is perverse since for both Israeli and American Jews, hearing “about life in Palestinian cities is not normal.” And it makes no sense to demand that American Jews endorse all aspects of the Palestinian agenda before—or even after—the dialogue begins. Jews have the right to their own opinions. But those opinions will be better informed, and more humane, if they encounter Palestinian opinions too. To say that American Jews need to hear from Palestinians is not to say that doing so will turn them into doves. To the contrary, in some ways a truly open conversation with Palestinians may be more discomforting to American Jews like myself who are committed to the two-state solution than to those skeptical of it. American Jewish liberals generally believe in the legitimacy of both Jewish and Palestinian nationalism. Many hope, therefore, that if they endorse the basic justness of the Palestinian bid for self-determination, Palestinians will endorse the justness of Zionism. That’s highly unlikely. 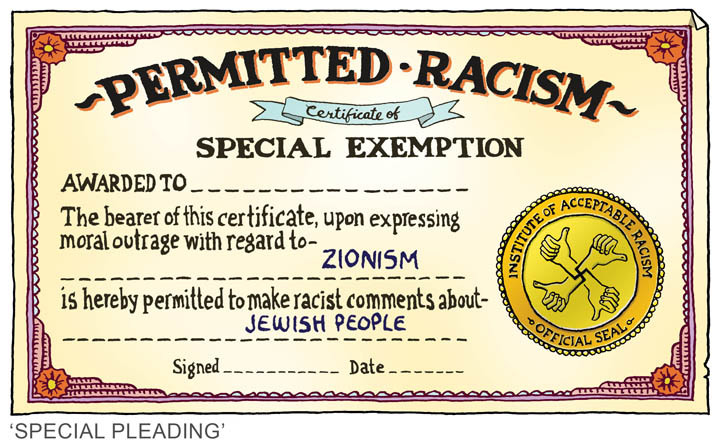 Virtually every Palestinian I’ve ever met considers Zionism to be colonialist, imperialist, and racist. When liberal American Jews think about the Israeli-Palestinian conflict, they think about Isaac and Ishmael: brothers reared in the same land, each needing territory their progeny can call home. Palestinians are more likely to think about South Africa: a phalanx of European invaders, fired by religious and nationalistic zeal, dominating the indigenous population. In my own interactions with Palestinians, I have been repeatedly struck by the central place they assign the Nakba in Palestinian identity, and by their deep insistence that those Palestinians whom the Nakba made refugees, and their descendants, have the right to return to their ancestral homes.2 In many ways, this focus on 1948 is more challenging to Jewish doves—who envision Palestinians abandoning a large-scale right of return in exchange for a state in the West Bank and Gaza Strip with a capital in East Jerusalem—than for Jewish hawks who assume Palestinians will do no such thing. This is not to say that encounters with Palestinians lead inevitably to the conclusion that Israel has no “partner” for a two-state solution. Palestinians don’t need to believe in Zionism’s legitimacy to make a pragmatic decision that because Israel isn’t going away, they’re better off accepting a state on 22 percent of British mandatory Palestine than waging a struggle for all of it that they can’t win. It may also be possible to distinguish the profound Palestinian belief in the “right” of refugee return from practical solutions about how to compensate and resettle people whose original villages and homes have long ceased to exist. According to J.J. Goldberg in The Forward, Mahmoud Abbas in 2008 wanted Israel to accept 150,000 refugees, far more than Ehud Olmert desired but not enough to significantly erode the demographic character of Israel, with its six million Jews. Recent polling by James Zogby suggests that most Arab Israelis would accept a two-state deal in which most refugees do not return to Israel. According to the poll, most Palestinian refugees in Lebanon and Jordan would oppose such a deal. Palestinians in the West Bank and Gaza Strip are closely split. If there were ample compensation, more Palestinians would likely be open to a two-state solution that would not include mass refugee return. In any case, given that most Palestinians believe Israel will never leave the West Bank, it’s almost impossible to predict how they’d react to what they consider a wildly hypothetical outcome. If talking to Palestinians will not necessarily push American Jews in a particular policy direction, why is it so important? Two reasons. The first is that ignorance is dangerous. I recently spoke to a group of Jewish high school students who are being trained to become advocates for Israel when they go to college. They were smart, earnest, passionate. When I asked if any had read a book by a Palestinian, barely any raised their hands. Even from the perspective of narrow Jewish and Zionist self-interest, that’s folly. How effectively can you defend Israel’s legitimacy if you don’t even understand the arguments against it? But the students are simply reflecting their elders. Last year a prominent pro-Israel commentator asked me whether Ali Abunimah was the name of a real Palestinian or the pen name of a left-wing Jew. Abunimah (the real name of a real Palestinian) is probably the most prominent BDS activist in America. He has 37,000 followers on Twitter, more than the commentator who asked the question or most other pro-Israel Jewish writers. I’m not a fan of Abunimah’s politics, but he clearly knows far more about what establishment American Jews think than they know about what he thinks. In part that’s because establishment Jewish discourse about Israel is, in large measure, American public discourse about Israel. Watch a discussion of Israel on American TV and what you’ll hear, much of the time, is a liberal American Jew (Thomas Friedman, David Remnick) talking to a centrist American Jew (Dennis Ross, Alan Dershowitz) talking to a hawkish American Jew (William Kristol, Charles Krauthammer), each articulating different Zionist positions. Especially since Edward Said’s death, Palestinian commentators have been hardly visible. Thus Palestinians can’t easily escape hearing the way the other side discusses Israel; American Jews can. The beauty of Manekin’s proposal is that Jews, of all people, can relate to stories of dispersion and dispossession. To have your family torn apart in war—to struggle to maintain your culture, your dignity, your faith in God, in the face of forces over which you have no control—is something Jews should instinctively understand. Indeed, in strange ways, encountering Palestinians—the very people we are trained to see as alien—can reconnect us to the deepest parts of ourselves. Tommy Lapid, the late father of Israel’s most recent political sensation, Yair Lapid, was a hawk. But one day in 2004, watching an elderly woman in Gaza’s Rafah refugee camp searching on hands and knees for her medicines in the ruins of a house destroyed by Israeli bulldozers, he blurted out something astonishing. He said she reminded him of his Hungarian grandmother. One hundred members of Sara Roy’s extended family were murdered in the Holocaust. Growing up, Roy, now a Harvard researcher, knew little about her father’s experiences in the Chelmno death camp because “he could not speak about them without breaking down.” It was living among Palestinians, she says, that brought her closer to her parents, not because Israel’s treatment of the Palestinians echoes the Nazi treatment of Jews—it obviously does not—but because for the first time she encountered people utterly terrified of the state that enjoyed life-and-death power over their lives. By seeing Palestinians—truly seeing them—we glimpse a faded, yellowing photograph of ourselves. We are reminded of the days when we were a stateless people, living at the mercy of others. And by recognizing the way statelessness threatens Palestinian dignity, we ensure that statehood doesn’t rob us of our own. In the months of April–May 1948, units of the Haganah [the pre-state defense force that was the precursor of the IDF] were given operational orders that stated explicitly that they were to uproot the villagers, expel them and destroy the villages themselves. As the Jewish world celebrates its New Year with hopes and prayers for peace, AIPAC continues to push for war in Syria …..
All-Out Push: Sen. Diane Feinstein (D-Calif.) arrives for a briefing on Syria. AIPAC plans a major push to convince Congress to back President Obama’s request to authorize use of force. The influential pro-Israel American Israel Public Affairs Committee will deploy hundreds of activists next week to win support in Congress for military action in Syria, amid an intense White House effort to convince wavering U.S. lawmakers to vote for limited strikes. “We plan a major lobbying effort with about 250 activists in Washington to meet with their senators and representatives,” an AIPAC source said on Saturday. 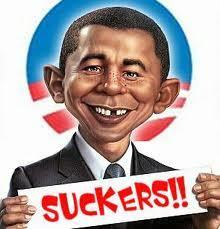 Congressional aides said they expected the meetings and calls on Tuesday, as President Barack Obama and officials from his administration make their case for missile strikes over the apparent use of chemical weapons by Syrian President Bashar al-Assad’s government. The vote on action in Syria is a significant political test for Obama and a major push by AIPAC, considered one of the most powerful lobbying groups in Washington, could provide a boost. The U.S. Senate is due to vote on a resolution to authorize the use of military force as early as Wednesday. Leaders of the House of Representatives have not yet said when they would vote, beyond saying consideration of an authorization is “possible” sometime this week. Obama has asked Congress to approve strikes against Assad’s government in response to a chemical weapons attack on Aug. 21 that killed more than 1,400 Syrians. But many Republicans and several of Obama’s fellow Democrats have not been enthused about the prospect, partly because war-weary Americans strongly oppose getting involved in another Middle Eastern conflict. Pro-Israel groups had largely kept a low profile on Syria as the Obama administration sought to build its case for limited strikes after last month’s attack on rebel-held areas outside Damascus. Supporters of the groups and government sources acknowledged they had made it known that they supported U.S. action, concerned about instability in neighboring Syria and what message inaction might send to Assad’s ally, Iran. But they had generally wanted the debate to focus on U.S. national security rather than how a decision to attack Syria might help Israel, a reflection of their sensitivity to being seen as rooting for the United States to go to war. Click HERE to see Tweets ….